IN his Budget speech this year, Finance Minister Pranab Mukherjee forecast a bright future for the Indian economy, announcing fiscal 2012-13 to be a year for revival. At the same time, he ensured that the “pro-market” Budget took one more step towards limiting Parliament’s role in crucial economic decision-making. Traditionally, several key financial decisions, including administered prices of fuel and foodgrains, were taken through the annual Budget. But over the years, such decisions have increasingly fallen out of its purview (see ‘Market influence on the Budget’). One big indicator this year to Parliament’s declining role was the proposed Direct Tax Code (DTC). On March 9, exactly a week before the Budget was tabled, a standing committee of Parliament approved the code and suggested that taxation should be linked to inflation. DTC will come into force from April 1, 2013. The code predetermines direct taxes for a long period of time and ends the practice of government changing the taxation structure every year by amending the Income Tax Act of 1961. It also ensures that once a tax bracket is fixed, it does not change with every political upheaval or due to other external factors. “The code will further limit government’s role in fiscal policy decision making,” says Subrat Das, executive director of Centre for Budget and Governance Accountability, a non-profit based in Delhi. He explains that although DTC is a natural fallout of economic liberalisation, it only helps corporates and private companies. “Liberalisation leads to an increased role of the market and a reduced role of the state,” says Praveen Jha, associate professor at the Centre for Economic Studies and Planning, Jawaharlal Nehru University in Delhi. “Amendments to the Income Tax Act help the government generate votes or resources according to its needs. The government can play around with the revenue generated. This is important for a country like ours because the gap between the haves and the have-nots is too large to bridge without government intervention,” says Das. The process of curbing parliamentary role is long drawn and began more than two decades ago with the opening of economy. The first policy level step was the Fiscal Responsibility and Budget Management (FRBM) Act which was notified in 2004. The Act says budgetary fiscal deficit should not be more than 3 per cent of the GDP and that there should be no revenue deficit. The country is yet to reach that target. But now the government cannot borrow money when required—a practice followed all these years. 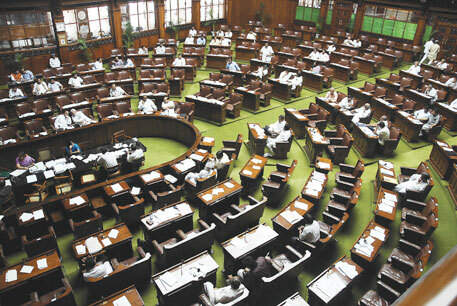 Budget has three aspects—expenditure, revenue and borrowing, says Das. The FRBM Act has put a cap on the amount of money government can borrow. Once the FRBM Act and DTC become fully operational, “there will be room only for prioritising the sectors on which money can be spent but not the amount,” says Das. “The government has announced a fuel subsidy cut of approximately Rs 25,000 crore. But it makes no mention of rising inflation and its impact on fuel pricing. Such decisions need to be discussed in Parliament,” says Jayati Ghosh, professor at the Centre for Economic Studies and Planning, Jawaharlal Nehru University, Delhi. “It is fine to say that India cannot afford to subsidise fuel prices and we should pay the global market rates. But the government tends to forget that we do not pay wages at the global market rate,” she says. Such policy-level steps result from liberalised economy. Decision makers do not bother to bridge the rich-poor divide, she adds. Allocations for the Centrally sponsored schemes are also conveniently mentioned in the Budget. But the stringent conditions applied to them while disbursing funds to the states are not. The state governments often complain against these conditions. But this process is not part of Budget-making even though it has serious implications on the states’ revenue generation and expenditures, says Ghosh. In between budgets, prices witness major changes. In fact on March 24, the finance minister announced increase in the price of urea and further deregulation of diesel prices. Neither were mentioned in the Budget. 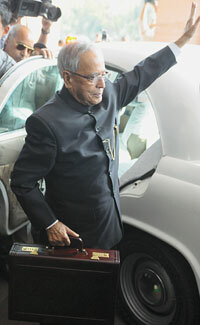 “Not everything can be announced in the Budget,” Mukherjee said. Decisions on yarn duty, sugar prices and fuel prices that were earlier taken within the Budget are now increasingly undergoing changes outside the Budget. Duty on yarn will now be decided on the basis of the market, says Jha. Over the years, the list of essential commodities has also shrunk. While there were 463 chemicals on essential pharmaceutical’s list, there are barely 30 now, he says. “Making pricing and economic policies open to market fluctuations requires a certain degree of equality. There is no equality or a level playing field. This makes the weaker sections vulnerable to market fluctuations which can result in slaughter,” he adds. Economists and activists say the Budget seriously undermines social welfare. “Parliament’s declining role in finalising the budgetary proposals makes the entire process less transparent. This shows the government’s pro-market ideology,” says Medha Patkar of Narmada Bachao Andolan. She says the corporates want a stable economy leading to a stable market, not stable standard of living or equality. “The entire process is a routine exercise. It has no bearing on the welfare of the majority,” she says while citing the example of the National Urban Health Mission (NUHM) announced in the Budget. “The government lays down no roadmap for the mission. Nor does it mention the allocation. The announcement is merely lip service,” says Patkar. The allocation for NUHM has been made under the head “other schemes” of the Ministry of Health and Family Welfare.